Mi Amor is a charming and stylish property located just inside the National Park of Tulum. With just 18 rooms, it is an intimate property providing a quiet retreat for adults only. 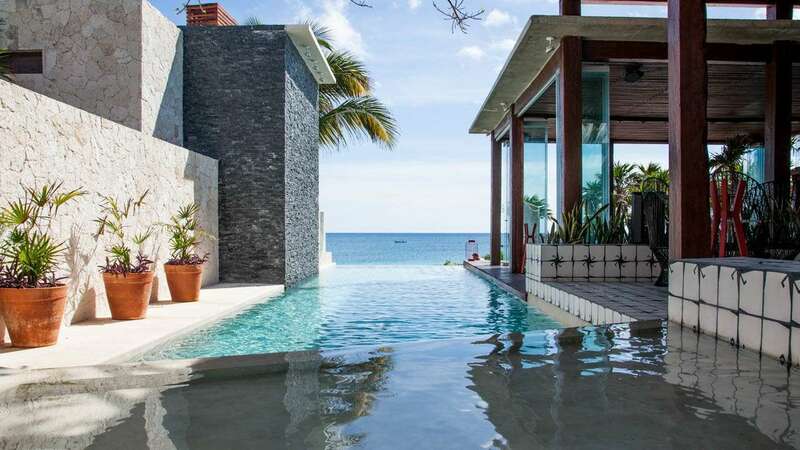 Guests of Mi Amor can be assured of a warm welcome and a wonderful first impression with the outstanding views to the ocean on entering the hotel. Perched on the rocks, there is no direct access to beach here, but a trail to a large rock pool for swimming. A beach can be accessed just a short cycle away a little further along the road. Wallow in the inviting pool that passes the restaurant or enjoy a book on your terrace or balcony. Downtown Tulum is a 5 minute taxi journey or explore the numerous beach restaurants along Tulum's hotel zone.